Leather Bracelet | Super Original Design - Superpipapo: In Style with Your Pet! 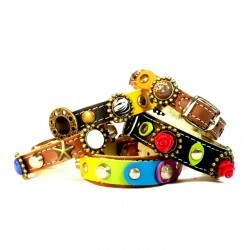 Leather Bracelet 100% Matching There is 1 product. 100% made to match with the design of the collar or harness you order! - Trust the taste of Superpipapo: You and your Dog or Cat will look spectacular!